One of country music’s most powerful duos is back with a new record entitled Bigger. After an eight year hiatus that included two solo records from Jennifer Nettles and a solo album and mix of singles from Kristian Bush, the two have reunited to bring their powerful message back to the country music scene. Though they are not immune to the pop-country influences of today, Sugarland is as good as ever and is highly aware of the strained atmosphere that brought them back together. With Nettles’ unforgettable voice and Bush’s ability to craft catchy tunes, Bigger is an echo back to classic Sugarland with a modern zest. Each incarnation of Sugarland is a little different, but Nettles and Bush remain committed to their roots, their sound still as arena rocking as it has been over the years. The classic strum of Bush’s guitar complements Nettles’ voice as much as his harmonies, the added orchestral backdrop making this album, well, bigger. The production quality of Bigger is so well-balanced that it seems easy despite the near decade it’s been since their last studio album. Songs like “Mother” and “Bird In a Cage” are sentimental, tugging at the heartstrings in an understated way. Although the emotions of previous hits like “Stay” seem to be lacking in Bigger, Sugarland is nostalgic about enjoying the ride, though there are somber and sobering tracks like “Tuesday’s Broken”, which takes gun violence in schools head on, providing a more recent flavor in Bigger’s formula. Some real highlights of the album come halfway along the 42 minute runtime. “Lean It on Back” should be played at beachfront tiki huts while having fun in the sun. Utilizing labelmate Taylor Swift in the song “Babe” is a stroke of genius, beckoning even more nostalgia to Swift’s time in the country music. “Love Me Like I’m Leaving” is so sonically pleasing that it’s impossible to not be impressed. Even if Sugarland gets a little cutesy and oversaturated at times, there’s still a lot of bulk in their meticulous musicianship. 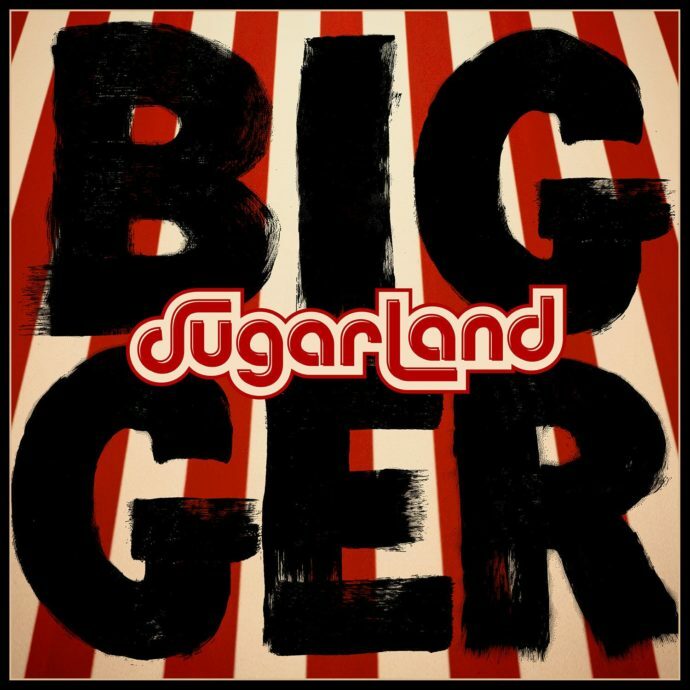 After 2010’s Incredible Machine, it seemed as if Sugarland couldn’t get any bigger. Incredible Machine was complex, fruitful, and carried a storyline. With the band being on top of the world, Nettles and Bush called it quits, but the strengths of Sugarland remained the same. Bigger is a mix of all eras in the duo’s 14 year history: chart-topping hits, island rhythms, and serious lyricism. This album is an excellent return that will please both new and old listeners.